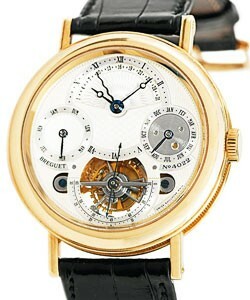 This watch is also known as: 3657BA129V6 , 3657BA/12/9V6 , 3657ba_12_9v6 . 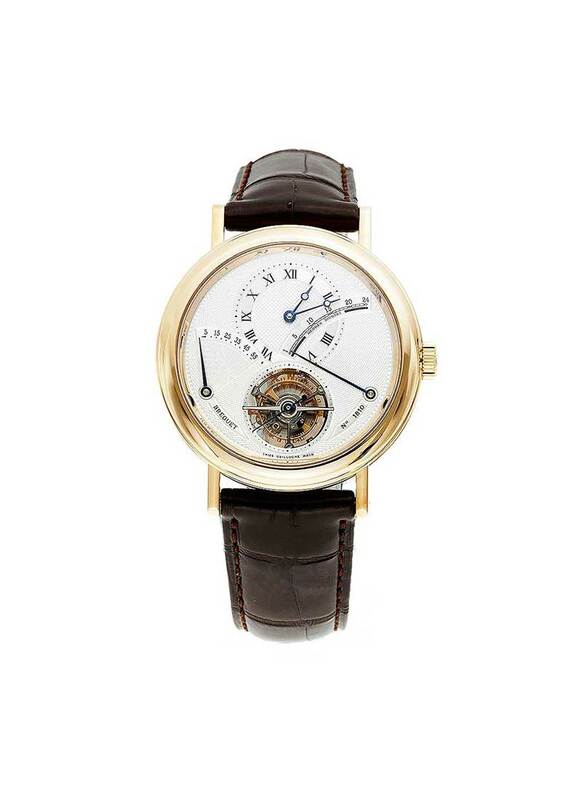 The Breguet Classique Grande Complication Model # 3657BA/12/9V6 features hour, minute, small seconds functions on the Tourbillon located at the 6 o'clock hour marker with integrated seconds hand.. 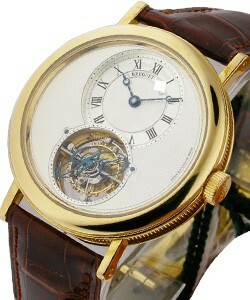 The silver Guilloche dial covered by scratch-resistant sapphire crystal showcasts Roman numeral markers, blued "Breguet" style hands, 24-hour indicator which helps tell if the watch is displaying AM or PM located to the right of the dial, and power reserve indicator located to the left of the dial. 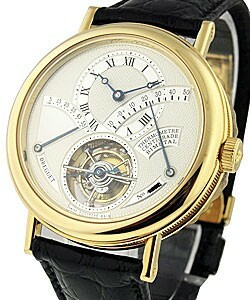 The Breguet 3657BA/12/9V6 is a manual-wound men's watch in 39.7-mm 18K yellow gold case and bezel with black crocodile leather strap with deployment clasp. 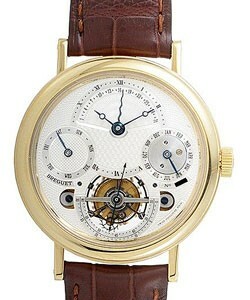 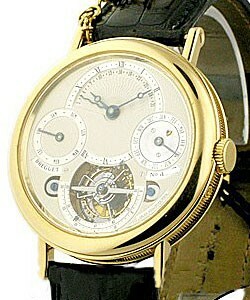 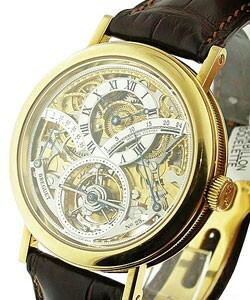 The transparent case back allows watch-enthusiasts to view the stunning hand decorated movement plate. 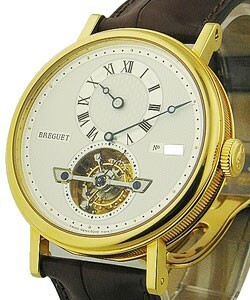 The Breguet 3657BA/12/9V6 utilizes Caliber Breguet 560T engine with 50-hour power reserve. 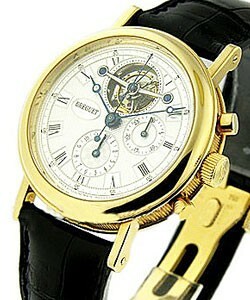 This beautifully hand-engraved timepiece is water resistant to 30 meters (100 feet).